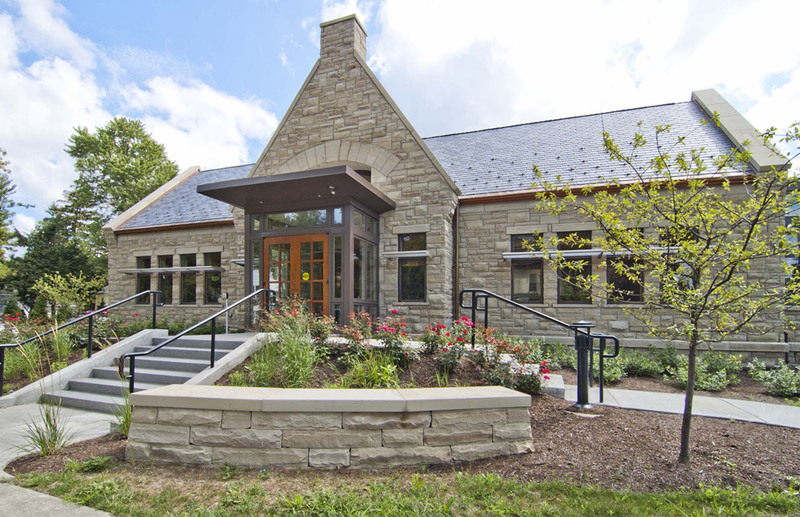 The Lincoln Center Addition triples the capacity of the original historic Southworth Library, a treasured Romanesque style building designed by William Henry Miller in 1894 and listed on the National Registry of Historic Places. 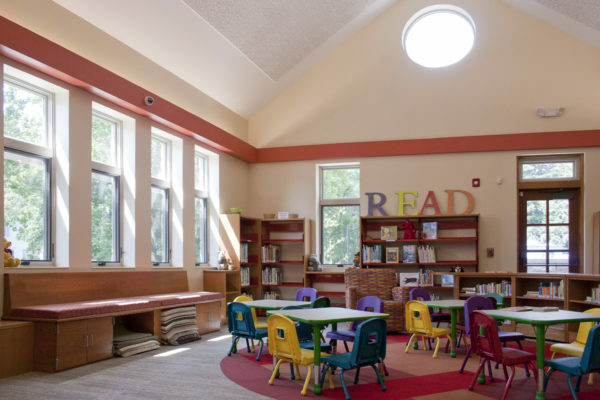 The design approach was to add “behind” it and to connect to it with a light and transparent link allowing the existing building to maintain its own integrity. The addition is respectful and harmonizes with the existing structure through a design that resonates the massing, scale, style and materials of the existing. The addition also provides accessibility to all patrons, and access to the existing library, which is elevated three feet above grade.